The stunning original: the Range Rover Evoque. There has been a lot of ongoing press about Landwind’s copy of the Range Rover Evoque (a road test of the Evoque comes next week in Lucire, incidentally), one of my favourite Sloane Ranger SUVs. There’s no way Landwind would have come up with the design independently, and, if put before most occidental courts, there would be a finding in favour of the Indian firm. People are right to be upset, even in China, which has plenty of firms these days that spend millions on developing a new car and hiring the right talent. The days of SEAT Ibiza and Daihatsu Charade rip-offs are not completely gone, but if you read the Chinese motoring press, the journalists there are as condemning of copies as their colleagues everywhere else. The impression one gets in the west is that this is par for the course in China in 2015, even though it isn’t. While there have been firms that have gone from legitimate licensing to copying (I’m looking at you, Zotye and Yema), the reverse has tended to be the case in the Middle Kingdom. The latest article on the Landwind X7 appears in Haymarket’s Autocar, a magazine I’ve taken since 1980. I even think Autocar is being overly cautious by putting copy in quotation marks in its headline. It’s a copy, and that’s that. Landwind has maintained that it’s had no complaints from Jaguar Land Rover, while JLR CEO Ralf Speth says he will complain. Considering it’s been five years since the Evoque was launched, and news of the copy, and Landwind’s patent grant from 2014, has been around for a while, then saying you will complain in 2015 seems a little late. (3) Its contents are divulged by others without the consent of the applicant. 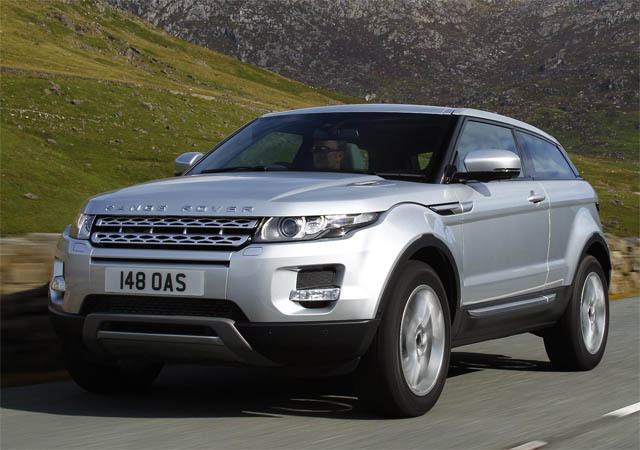 The Evoque was shown at Guangzhou at a state-sanctioned motor show in December 2010, which meant that Jaguar Land Rover had until June 2011, at the outside, to file this registration. JLR reportedly missed the deadline [edit: with the patent office receiving the application on November 24, 2011]. The consequence of missing the period is that an original design becomes an “existing design”. While it’s not entirely the end of the road for Jaguar Land Rover in terms of legal remedies, it is one of the quirks of Chinese intellectual property law, which, sadly, is not as geared to protecting authors as it is in the west. If you go back to November 2014, the South China Morning Post reported on this matter, again quoting Dr Speth in Autocar. He’s found it ‘disappointing’ for a while, it seems, but back in 2014 there was no mention of going after Landwind. An A. T. Kearney expert backs him up, saying, ‘… copying by Chinese original equipment manufacturers is still possible and accepted in China.’ It’s increasingly unacceptable, but, there are loopholes. I’m not arguing that this is right, nor do I condone the X7, but you do wonder why JLR hasn’t taken action. The above may be why JLR has stayed silent on the whole affair. This is why I read nothing on any action being taken by JLR when the Landwind was first shown, when a patent was granted (a year ago this month), or when the X7 was last displayed at a Chinese motor show. The SCMP piece is a much fairer article, noting that Chinese car makers have become more sophisticated and invested in original designs. It also notes that consumers are divided: while some would love to have the copy, another felt ‘ashamed about Landwind,’ points usually ignored in the occidental media. Land Rover has traditionally been swift in taking on copycats, and it had fought Landwind’s EU trade mark registration in 2006. This firm is known to them. Landwind, meanwhile, has a connection to previous Land Rover owner Ford, through Jiangling, which has a substantial Ford shareholding. Could some pressure be brought through Ford? For now, Jaguar Land Rover’s trouble with its patent registration has yet to make it into the western media. It’s doubtful that state media have ganged up on Jaguar Land Rover, considering it has a partnership with Chery, and invested in a new plant in Changshu. It really needs to be asking its lawyers some serious questions.